1020 South Shore Drive, Irving, NY.| MLS# B1076056 | Chautauqua Lake Real Estate Services. Informed, Professional Real Estate Information Serving Buyers and Sellers Interested in Lake Chautauqua Real Estate and Chautauqua County NY Real Estate. Rick and Julia McMahon Real Estate Advantage Since 1992. Experience beach living in this 8 year old light filled custom waterfront home. 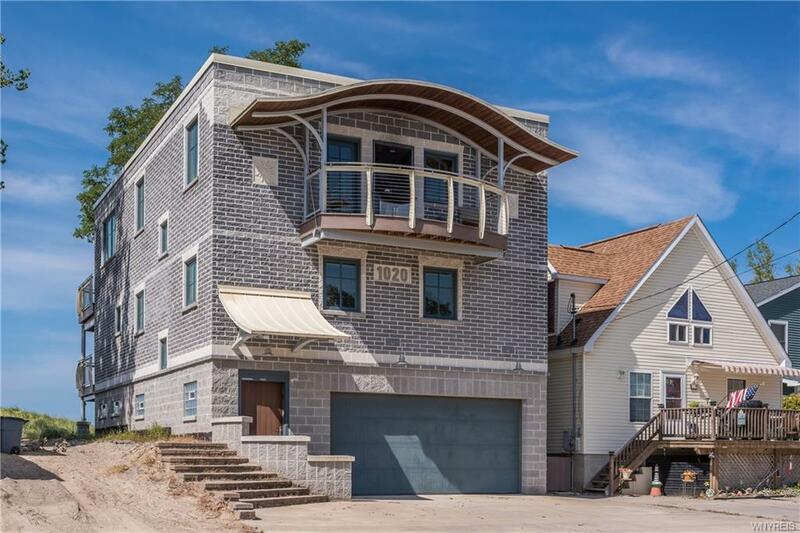 The furnished 5br/ 6 bath reverse living space home was designed to take advantage of the stunning views of Lake Erie. Features include a spacious living room with walls of windows, a gourmet kitchen with commercial grade appliances & granite counters,dining room with built in granite cherry credenza, TV room/den,office with built in desk,radiant hickory & maple floors,upper & lower decks with spectacular views & built in grill,1st floor laundry,adaptable elevator shaft ,storage room with beach access door and an attached 2 car garage.Outside enjoy a sea grass pathway to a 40 foot private sand beach. This home is equipped with a whole house generator and is only a short walk to marina and Sunset Bay Beach Club. Directions To Property: Routes 5 And 20 To Alleghany. Left On South Shore, House On Lake Erie Side Before Sunset Beach Club.